RT could not get a straight response from US State Department spokesperson Jen Psaki on Kiev’s role in a breach of the ceasefire in eastern Ukraine. 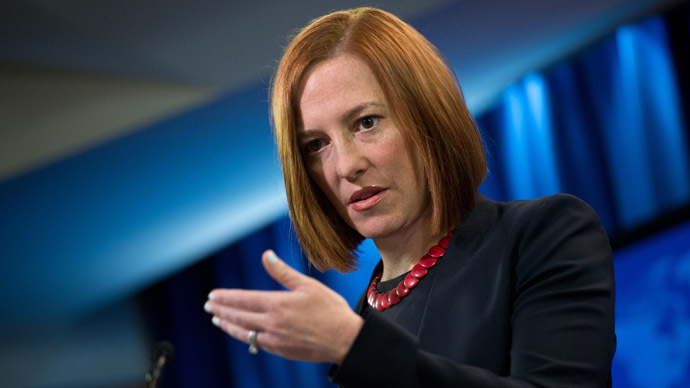 Psaki chose to loudly blame Russia while keeping quiet about the actions of the Ukrainian government. 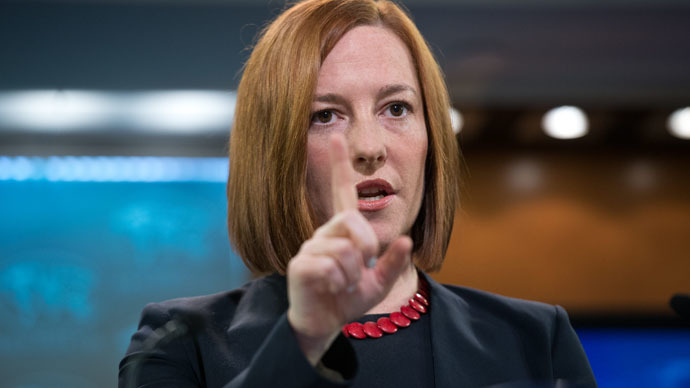 Psaki got grilled during Friday’s daily briefing about whether the Ukrainian government’s actions comply with the Minsk agreements that have been backed by the UN and other international players as the only viable solution to the conflict. 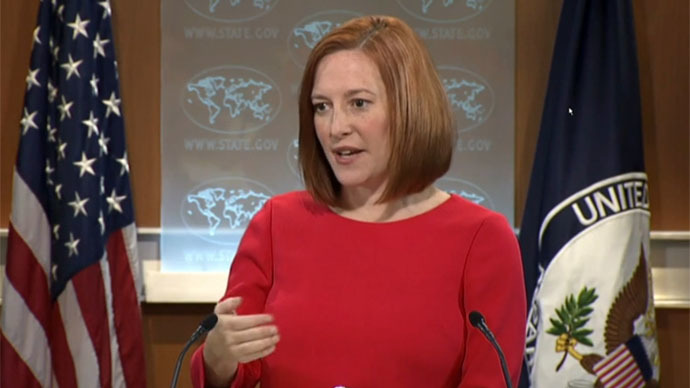 But, after multiple attempts to get a straight answer, Psaki kept repeating accusations against Russia. Chichakyan pointed out that at times Psaki was not even willing to admit the fact that Ukrainian government has been using heavy artillery. “This tactic of avoiding questions about what the Ukrainian government is doing by pointing to Russia is becoming increasingly obvious,” the journalist said. 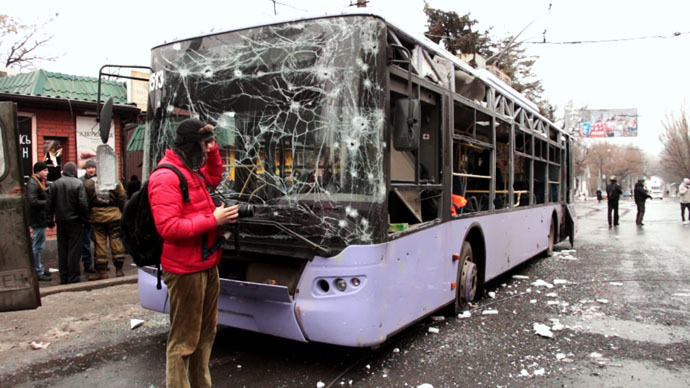 Gayane Chichakyan:Do the actions of the Ukrainian government comply with the Minsk agreement? Jen Psaki: In general Russia has illegally – and Russian-backed separatists have illegally – come into Ukraine, including Donetsk. 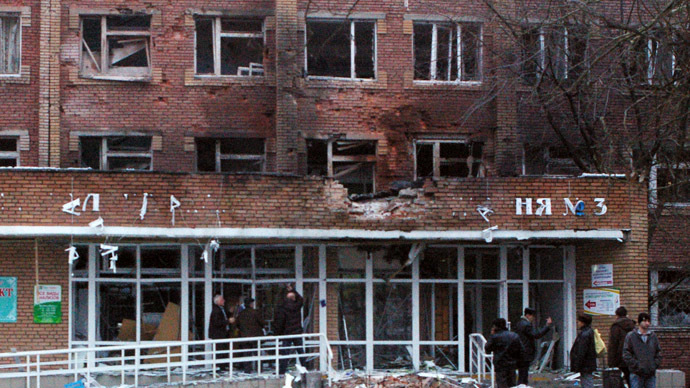 Ukraine has a responsibility and an absolute right to defend itself. We certainly expect both sides to abide by the Minsk agreements. We have not seen that happen, we’ve seen a lot of talk, not a lot of backup from the Russian side. 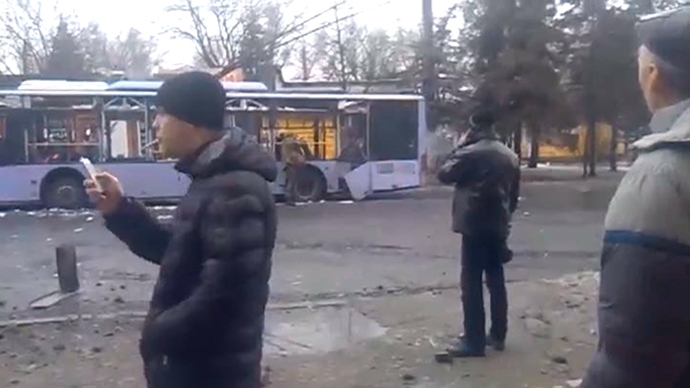 GC:I am specifically asking about the actions of the Ukrainian government. Can you give a more definitive answer, whether or not they comply with the Minsk agreements? JP: You are not talking about a specific incident, I think I’ll leave it at what I said. GC:With the Minsk agreement, do they comply? You pass a judgment that Russia is not complying with the agreement, can you assess whether Ukraine is complying? JP: I listed a range of specific ways Russia is not complying. GC:Under the agreement sides must avoid deploying and using heavy artillery. Isn’t it what the Ukrainian government is doing right now? JP: First of all, let’s start again with the fact that Russia has illegally intervened in Ukraine and come into a country that was a sovereign country. So I am not sure that you are proposing that a sovereign country doesn’t have the right to defend themselves. GC:I am asking specifically about the actions of the Ukrainian government, you are veering off. JP: I think we are going to leave it at that. After numerous failed attempts to get Psaki to answer a simple question, AP’s Matt Lee tried his chances. Matt Lee:It just seems to be that when the government of Ukraine is accused of shelling civilian targets, you say: ‘Let’s have an investigation.’ And when there are incidents that you ascribe to the separatists, there is an immediate condemnation, so I think that is where these questions are coming from. JP: I wouldn’t say that is exactly what’s happened. There are times when it is clear who is responsible. This is a case where there is going to be an investigation.